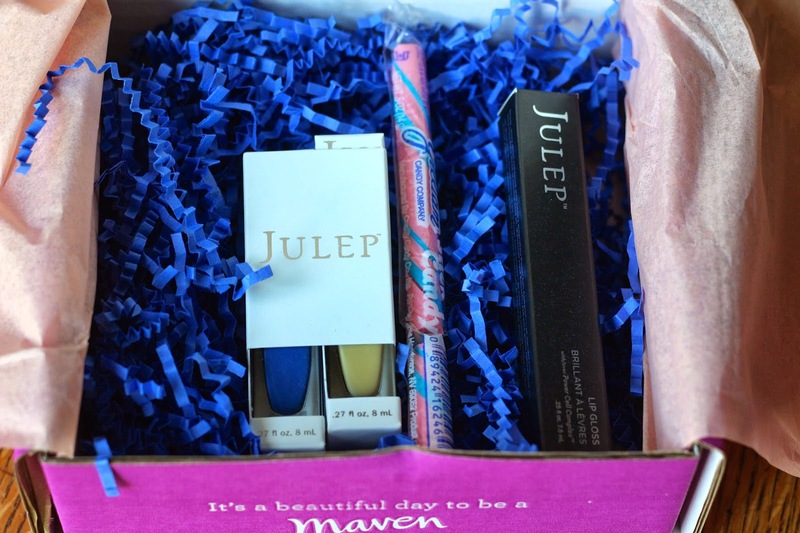 I had enough Julep Maven Jules to get a free box, so I grabbed the March Bombshell box because I didn't get it during Maven selection time, and I regretted it a little! First look inside the box, info cards included. My products, with a candy stick included as a bonus! Julep Lip Gloss in Awestruck - ($20) I really like this color, it actually looks like a clear gloss on my lips, with a hint of gold shimmer. Very pretty, great for all occasions. Also I love the way their gloss smells, sugary and sweet. Yay! 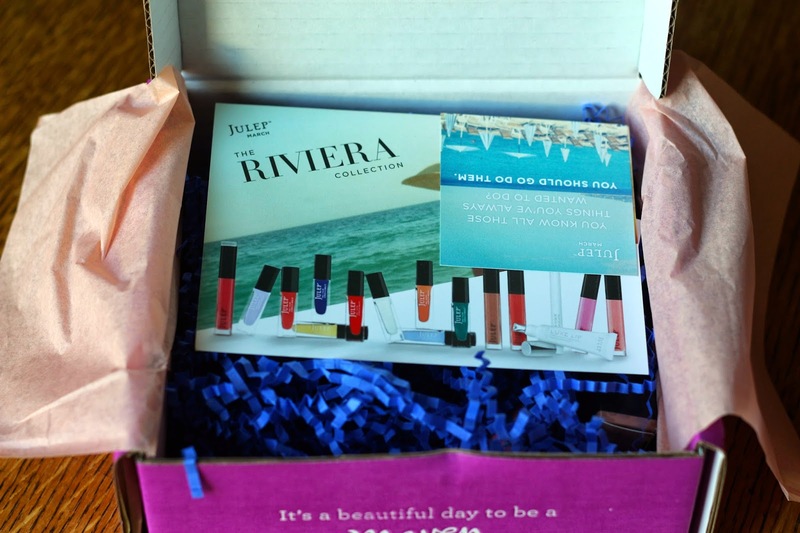 I love Julep too, their formula usually works great for me, and I actually love the tiny, skinny bottles. Makes storing them take up much less room! I originally signed up because I had finally stopped biting my nails and wanted a cute way to keep the habit at bay. I've been habit free since December! I love the tall, skinny bottles too... I'm a sucker for good packaging, and I love how many bottles I can fit on a shelf.